At the Law Offices of Craig Altman, we often receive questions from our clients regarding permanent workers’ compensation claims and workers’ compensation settlements in the New Jersey Workers’ Compensation system. Honestly, compared to our surrounding states, our system’s guidelines with respect to permanent partial disability awards and lump sum settlements can be quite confusing. That being said, our workers’ compensation lawyers are here to help clear up some of the confusion. Here are some of the most commonly asked questions we’ve received. Is there a reason that employers don’t settle cases before a claimant files a formal petition? Wouldn’t it make more sense if they did? There are actually two statutory NJ Workers’ Comp law provisions that pertain to this issue. So, to sum up these provisions, the reason that employers don’t settle cases before a formal petition is filed, is because all agreements must first be approved by a Judge of Compensation in New Jersey. This means that if an employee and their employer come to an agreement without the judge’s approval, their agreement is deemed invalid and not binding. If the petitioner’s doctor estimates 60% permanent partial disability, but the respondent’s doctor only estimates 5%, why can’t the AMA Guidelines to the Evaluation of Permanent Impairment be used to resolve the dispute? There is actually a very important reason that this isn’t the case and emphasizes a standard feature of our system. New Jersey is one of only a few states where judges do not mention the AMA Guides to the Evaluation of Permanent Impairment. However, New Jersey’s non-use of the AMA Guidelines isn’t due to a statute; it is more so due to tradition. There is no such statute that prohibits judges from consulting the AMA Guidelines. In actuality, it probably would be beneficial for judges to review the AMA Guidelines in cases where opinions on a disability vary on a large scale. Specifically, in respiratory claims, the guidelines would be extremely beneficial in determining eligibility for permanent disability benefits for these types of conditions, as spirometry and other forms of pulmonary function testing can be difficult to understand. When it comes to the award of a lump sum payment and permanent partial disability benefits, what evidence matters most to the Judge of Compensation in making their decision? As far as evidence goes, judges refer to two broad categories: the first being proof of a medical impairment, and the second being proof of disability from such impairment. This means that the claimant must prove an impairment under N.J.S.A. 34:15-36 with provable objective evidence, however, this isn’t all that’s required to win a workers’ compensation case. Even if a medical impairment does in fact exist, if it doesn’t affect the employee in their work or everyday life, this isn’t considered a disability. The injured worker needs to prove that their impairment has left them disabled. The claimant must demonstrate that their medical impairment affects their everyday abilities, or lessens their ability to perform work. This is why the judge focuses on more tangible medical evidence such as surgical studies, MRI results, CT scans, etc. as they are able to thoroughly assess how the medical impairment has affected the life of the injured worker. The judge will consider factors such as if the claimant has had to give up or cut back on hobbies they used to enjoy, decrease the number of hours at work due to the injury, etc. This is the type of evidence that the workers’ compensation judge will study to determine the injured worker’s degree of permanent disability or temporary disability. 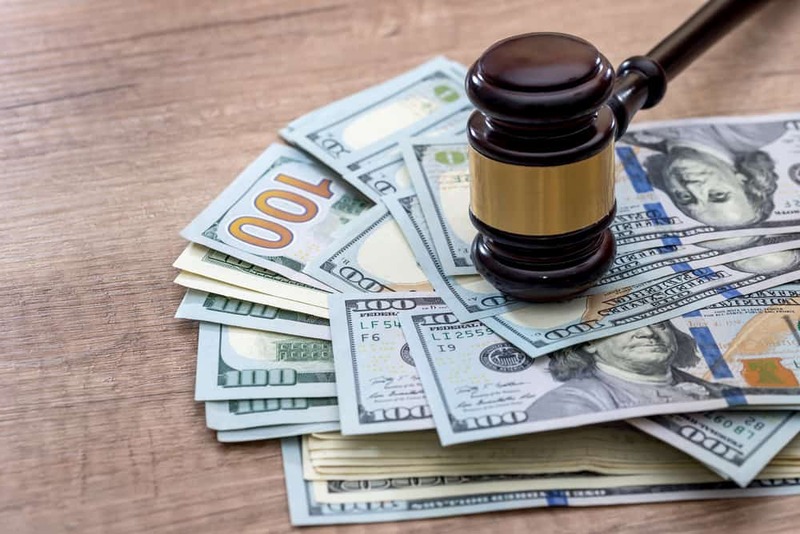 In addition, every Judge of Compensation requires testimony that can support the individual’s claims regarding the impact of their disability on their daily life. Why do workers’ comp cases involving surgery result in a higher value? Doesn’t the surgery make the injured worker better and therefore mean less of a settlement amount? This is a rather intricate question to answer. Most of us know someone who has received medical treatment and surgery and has had a quick recovery with little or no restrictions at all. Sure, in many cases surgery can provide to be incredibly effective. There have been scenarios where all-star athletes have undergone surgery and medical care to treat potentially career-ending injuries, and have bounced back to their old sports abilities. In the state of New Jersey, practitioners specializing in workers’ compensation claims know full well that an employee has the option to file a reopener petition if some sort of surgery is required for their condition later on down the road. Their mentality is that if the claimant’s injury does not require surgery at this moment, the condition might not be as significant as it would be if surgery were absolutely needed and in the best interest of the claimant. Statute N.J.S.A. 34:15-27 grants the employee up to two years following the last payment of compensation to reopen their case and seek additional medical treatment, which is oftentimes surgery. It is very rare that a claimant testifies in court that their level of ability to function is the safe before they suffered the work injury. Because if the claimant did, they would not be awarded permanency disability benefits. The expert testifying on behalf of the claimant may argue that in spite of the surgery, the claimant has still lost function following the surgery. This will result in the injured worker testifying that they now have to endure limitations in work performance or non-work functions. It’s also important to note that while it’s not common, many employees never file claim petitions post-surgery, as they believe they have fully recovered from their work injury and have no complaints. If you have suffered an injury while at work in New Jersey, and aren’t sure if you have a workers’ compensation case, it is in your best interest to contact a workers’ compensation lawyer right away. The experienced workers’ compensation attorneys at the Law Firm of Craig Altman will help you navigate the complicated New Jersey Workers’ Compensation system, deal with your employer’s insurance company, and fight to get you the medical treatment and type of settlement you deserve. Contact us today for a free consultation or to learn more about our other practice areas at (856) 327-8899 for our New Jersey office, or (215) 791-8848.